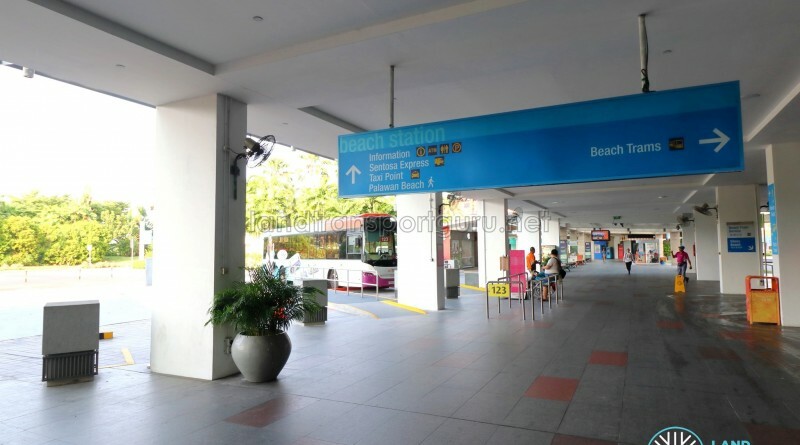 Beach Station Bus Terminal, or Beach Station (Transfer Hub), is located on the southern coast of Sentosa Island, between Siloso and Palawan beach. 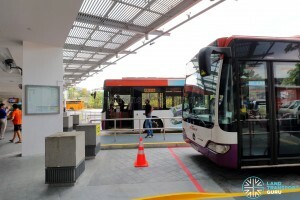 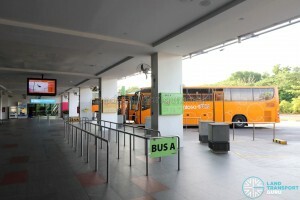 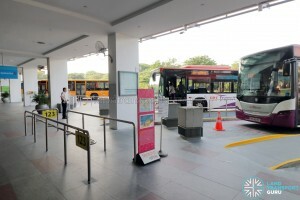 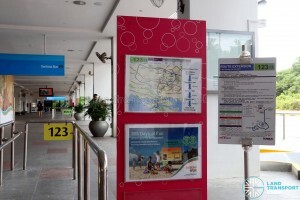 Connected to Beach Station of the Sentosa Express monorail line, the transfer hub serves Sentosa Bus Routes, the Beach Tram, and other shuttle bus services. 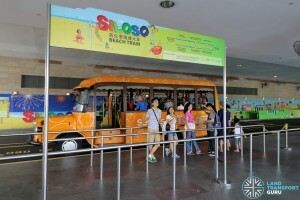 Nearby attractions include Songs of the Sea, iFly Singapore, Skyline Luge Sentosa and the Animal And Bird Encounters. 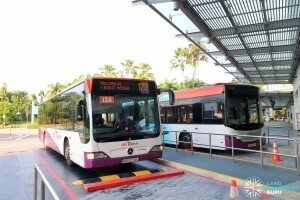 From 30 Jul 2017, SBS Transit Service 123 will be the first public bus service to call at Beach Station Bus Terminal, providing daily connections to mainland Singapore. 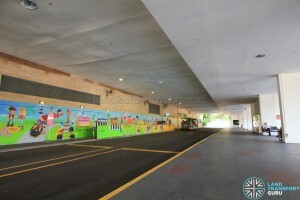 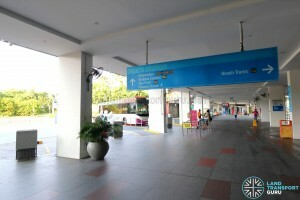 Beach Station Bus Terminal was opened in January 2007 in tandem with the opening of the Sentosa Express Monorail. 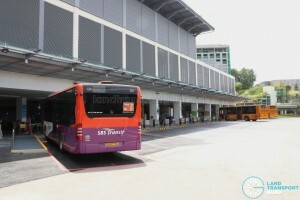 The large, sheltered Transfer Hub contains a bus terminus and tram stop, built underneath the Sentosa Express Monorail Depot which occupies the upper floor. 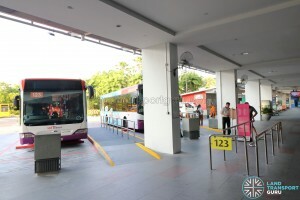 The bus terminus is used as the terminating point for SBS Transit Bus Service 123, Sentosa Bus A & B, and also utilised by other shuttle bus services. 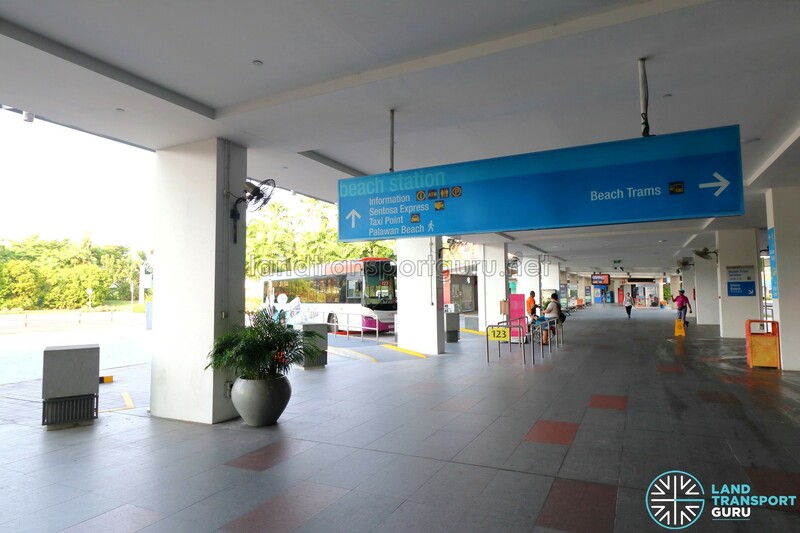 A paved road (Siloso Beach Walk) also cuts through the Transfer Hub, and is used as a Beach Tram Lane, where passengers board and alight from the Sentosa Beach Tram. 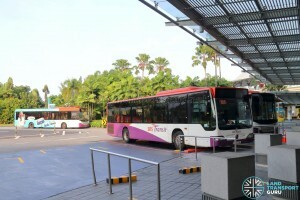 As part of a reorganisation of Sentosa bus services, from 30 Jul 2017 onwards, Sentosa Buses 1, 2 and 3 will be reorganized into two routes, Bus A and Bus B. 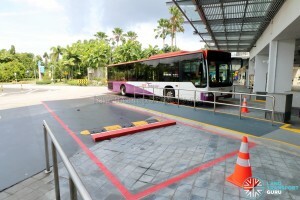 The terminal will also be served by public bus services to the Singapore mainland, with the route amendment of Service 123 to serve the terminal. 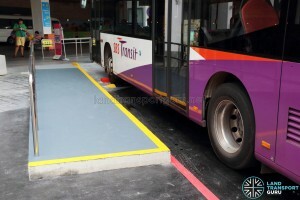 Two end-on berths were also modified to accommodate wheelchair boarding and alighting, in preparation for the wheelchair-accessible Service 123. 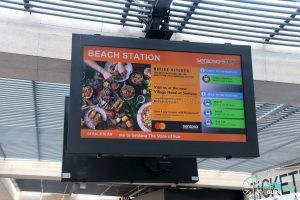 The Beach Tram service suspends operations between 7:00pm to 8:30pm daily due to the large crowd egress from Wings of Time. 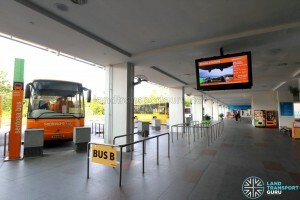 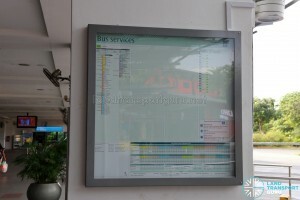 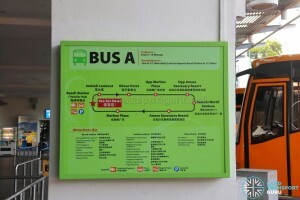 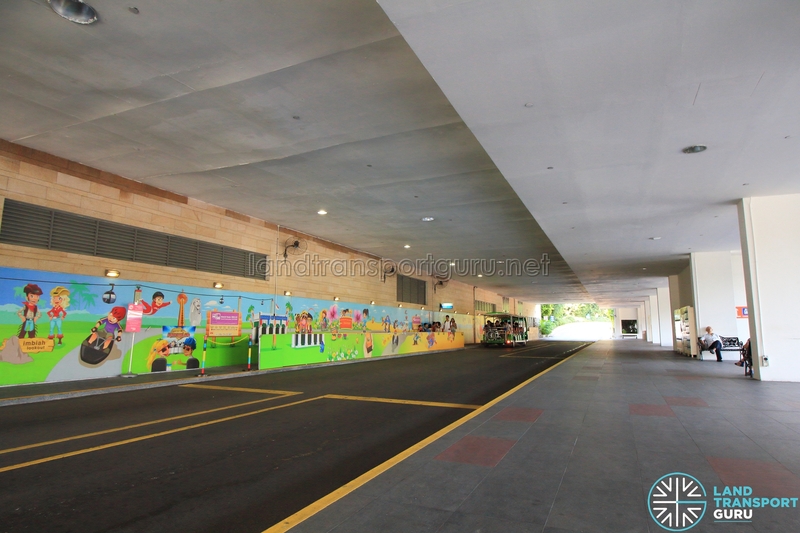 More photos on Beach Station Bus Terminal on the next page. 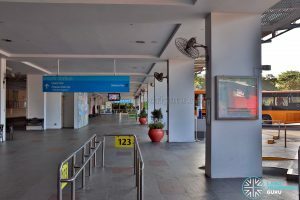 I think service 120 should extend this terminal from Telok Blangah Height and called RWS in both direction together with service 123. 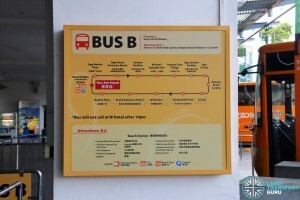 Meaning service 120 will serve from New Bridge Rd Ter to Beach Stn Ter.